The following standardized forms are available in PDF format. They require Adobe Acrobat Reader to view. 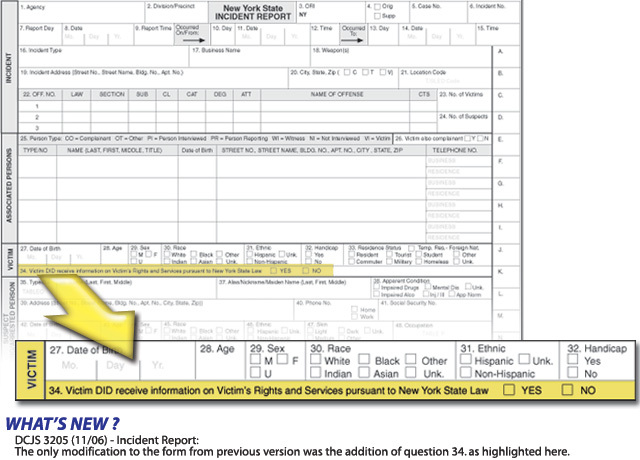 To order Victim Notification Cards in compliance with chapter 173, contact the Office of Victim Services by email at ovs.dl.asu@ovs.ny.gov or fax your request to 518-485-9154. Forms related to accreditation; asset forfeiture; equipment repair; police, peace officer and security guard training.